There are so many places and things to see and do when on vacation in our area. Here we made a top 10 list of our favourite things to see and do for both adults and children, while enjoying your vacation. 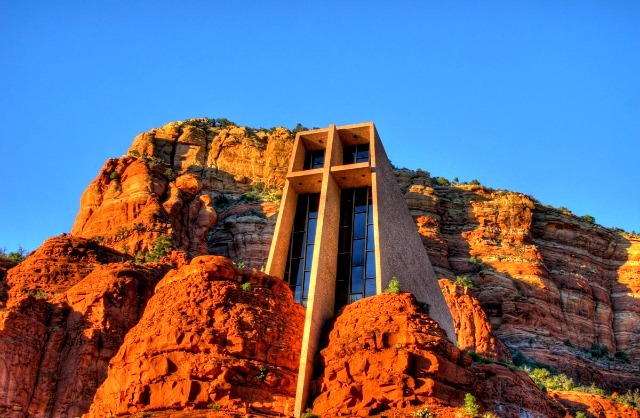 The Chapel of the Holy Cross is an architectural and spiritual treasure of Sedona. Built on a magnificent red rock perch and offering vistas of Sedona’s most breathtaking landscape, this house of worship has drawn countless people from all over the world since the 1950s. Today it is one of the most popular destinations for visitors of the Sedona area. Those who expect to find the Chapel as just another charming site are often surprised to find themselves embued by the powerful spirituality emanating from this plain yet beautiful building that seems to have stepped forth right out of Sedona’s dramatic red rocks. The Chapel of the Holy Cross is open Monday through Saturday from 9 a.m. to 5 p.m. and on Sundays from 10 a.m. to 5 p.m. Admission is free, and parking is available just a short walk down the cliff side from the church. The Chapel is located 4 minutes from the home and can be seen from the back patio. For more information, visit the official website The Chapel of the Holy Cross. 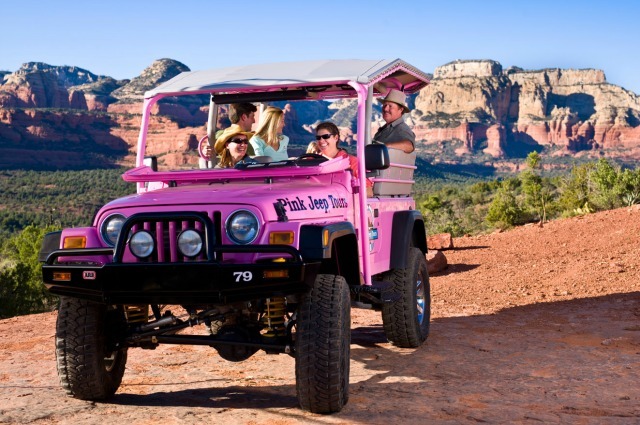 A Jeep Tour is by far one of the most popular tourist attractions in Sedona, AZ. Taking an exhilarating ride under the canopy of an open 4×4 vehicle with a knowledgeable, as well as, experienced guide at the wheel is a great way to experience the amazing landscapes of Sedona’s backcountry. Descend into a breathtaking gulch or climb hairy slick rock concourses, experience a jeep sunset below the red rocks in the desert or catch a glimpse of the local wildlife on an early morning tour. Let your guide educate and entertain you about the history of Sedona, about the edible and medicinal plants of the high Sonoran desert, about the scary and not-so-scary critters out there, about cowboy / Indian folklore and about the fantastic stories the local geography has to tell! Pink Jeep Tours is one of the most popular tour. They are located 8 minutes from the home. For more information visit their website at Pink Jeep Tours. 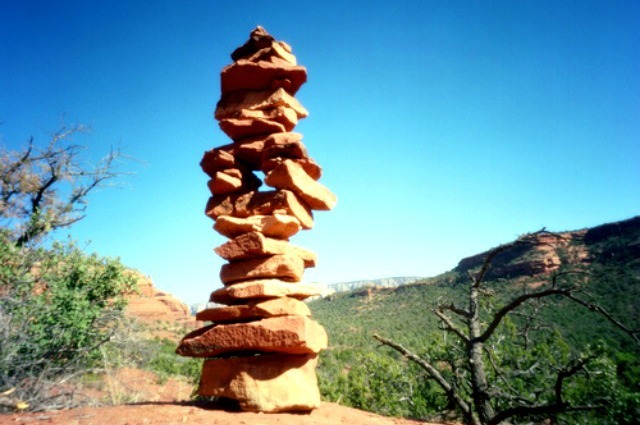 Sedona has always been considered an energetically unique area. The best way to find out about the powers of the vortex is to go and see for yourself. Several tour companies in town offer guided vortex tours, or you can go on your own. 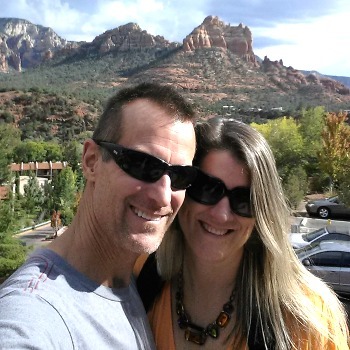 The stories of vortex experiences in Sedona are many and colorful, and the one thing everyone agrees on is that each person comes back with a unique experience. What is a vortex? You can think of these places as acupuncture spots on the Earth. Nearly everyone who goes to a vortex can feel the energy in their hands or body. Some of the vortex sites inspire you to climb to new heights and start new things. Some vortex areas help you to calm, help you to relax, and to release the negative. One area is balanced and helps you to move through confusion to get your answers, perhaps long term answers. The energy of a vortex is subtle and often elusive for someone seeking to feel it. But its effects can be quite profound. All the vortex power spots are known for their healing energy. Healing can take the form of smiling that won’t stop or spontaneous laughter. We have seen other amazing results and watched the joy and changes in the lives of people. For more information, visit Wild Sedona for locations and maps to vortex sites. When it comes to wine country, Arizona doesn’t usually come to mind. 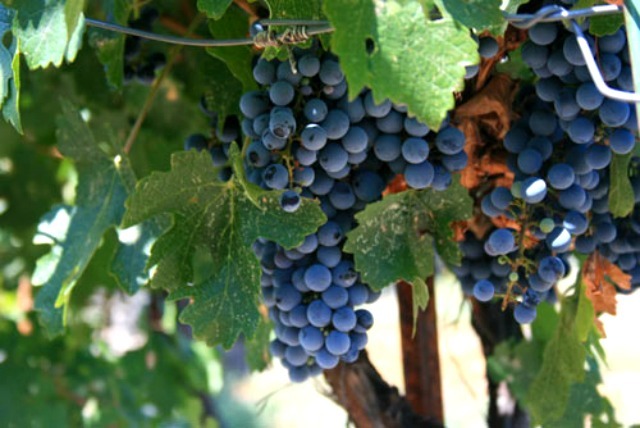 But the Verde Valley near Sedona offers the dry climate and access to water that grapes need to thrive. If you’re a lover of vino, consider taking a day to follow the Verde Valley Wine Trail; this self-guided tour takes you to four of the area’s most popular wineries — Alcantara Vineyards, Page Springs Cellars, Oak Creek Vineyards and Javelina Leap Vineyard — as well as five tasting cellars. Each of the stops allows you to tour the grounds and sample locally made wine. Recent trail followers praised the vineyards for their beautiful atmosphere and diverse selection. All four wineries are an easy 30-35 minute drive from Sedona. Hours and prices will vary depending on the vineyard. For more information, visit the Verde Valley Wine Trail website Verde Valley Wine Trail. If hitting the fareways is a must during your vacation in Sedona… you are in luck! 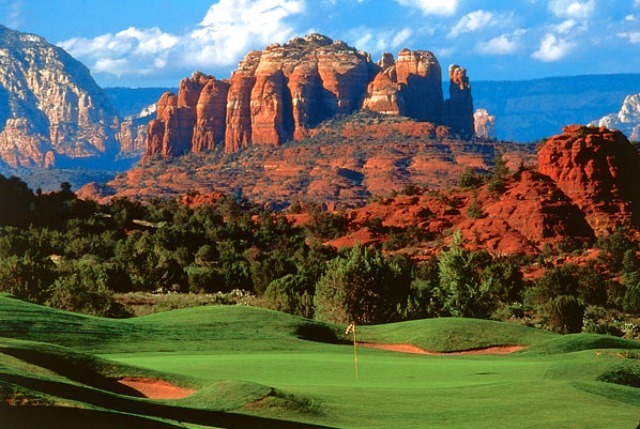 Sedona Golf Resort – No other Sedona AZ golf course provides a better combination of jaw-dropping splendor and exceptional challenge than the acclaimed Sedona Golf Resort. Located in the heart of one of the most captivating regions of the Southwest, the thrilling 6,646-yard, par – 71 course is widely considered among the world’s most unforgettable golf experiences. Winding around the famed red rocks of Sedona, each hole provides a unique adventure. No wonder this championship Sedona golf course receives a continuous four-star rating from Golf Digest. For more information on booking a tee time, please visit Sedona Golf Resort. Oak Creek Country Club – The premier of Sedona AZ golf courses, the Oakcreek Country Club is an 18 hole championship golf course nestled in the majestic Sedona red rocks. Designed by Robert Trent Jones Sr. and Robert Trent Jones Jr., this Sedona, Arizona golf course is truly a masterpiece featuring Sedona red rock views beyond compare. This Sedona, AZ golf course is a traditional layout similar to those that you may find in the midwestern United States. In the usual Trent Jones manner, the fairways are classic tree lined doglegs with fairway bunkers strategically placed in the landing areas, and the greens are all slightly elevated and surrounded with large swirling greenside bunkers. For more information on booking a tee time, please visit Oak Creek Country Club. 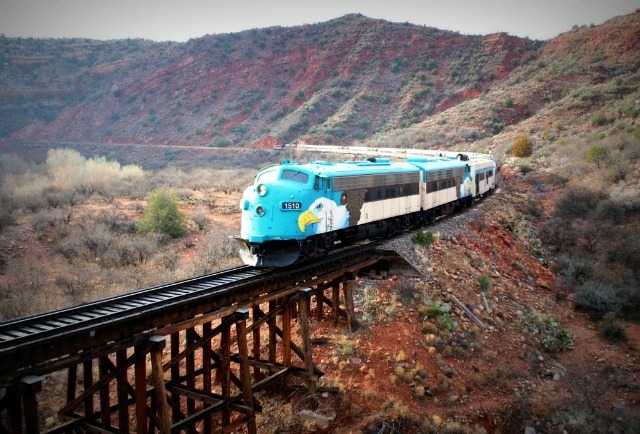 Take a ride on the Verde Canyon Railroad, Arizona’s longest-running nature show. The railroad meanders through the inner sanctum of Arizona’s other “grand canyon,” where each season creates a new reason to ride. Splendid vistas and centuries-old Indian ruins are around the bend as the train pulls away from remnants of a mining era which helped establish neighboring communities. Make sure to spend some time out in their open air cars and witness the abundant wildlife in the area including the American Bald Eagle. Travelers catch the train at the depot near Clarkdale, which is about 40 minutes southwest of the home. For more information, visit Verde Canyon Railroad for tickets and pricing. Looking for an alternative to planes and helicopters? 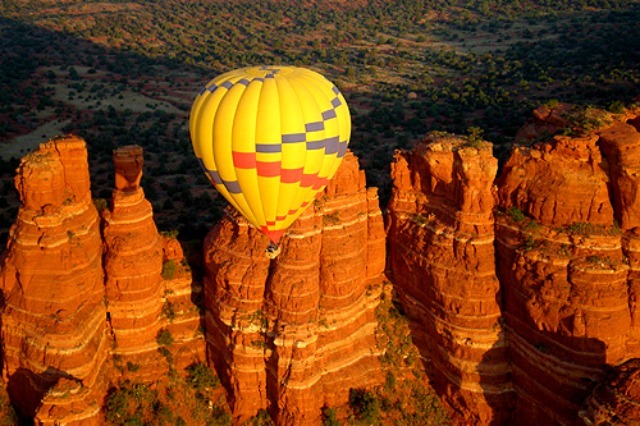 Try taking a balloon ride to experience high vistas of Sedona and Oak Creek Canyon. Hot air ballooning allows each visitor to Sedona to experience the magic and energy of the vortexes in their own way. Professional pilots, ground crew and support personnel make hot air ballooning an event to remember. Imagine floating over Sedona as the sun peeks out over the crimson towers that line the eastern horizon. As the sun breaks from behind the rocks, your morning hot air balloon ride gives a bright perspective on what the day might bring. End your ride with a champagne toast amidst the famous Sedona red rocks. A balloon flight is typically three-to-four hours from the time you arrive until you’re ready to go home. Flight time is 1 to 1 1/2 hours depending on weather conditions. A popular balloon tour company Red Rock Balloon Adventures. For ore information visit their website at Red Rock Balloon Adventures. 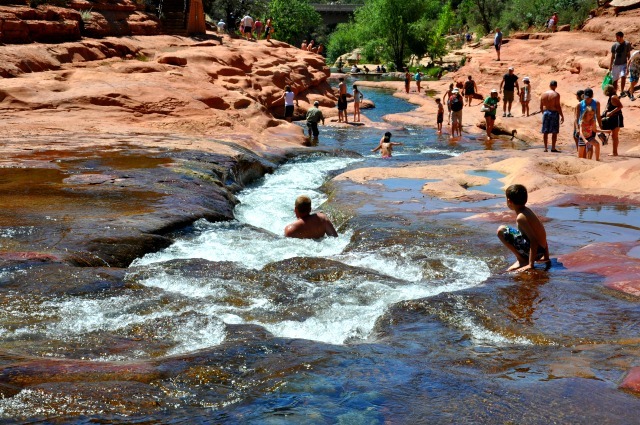 For those of you visiting Sedona during the hot summer months, a few hours at Slide Rock State Park is a must. Housed on land that formerly grew apple trees, the park earned its name from the stretch of its slippery creek bed near the original homestead that now acts as a natural waterslide. Visitors can cruise down the creek on a tube or on their own, or simply enjoy the sun along the rock bed. Beyond the natural waterslide, the park is home to numerous natural swimming pools. The farm’s old homestead is also open to exploration. Visitors often spend the entire day at the park soaking up the sun and swimming in the water. If you are feeling brave, you can even go cliff jumping. Into art? Take a day to explore the amazing galleries in Sedona. When it comes to exploring the world of art in Sedona, the Tlaquepaque Arts & Crafts Village is the place to be. Originally conceived as an artist community, Tlaquepaque is a perfect setting to witness gifted artisans absorbed in their work. It’s not uncommon to venture upon a well-known sculptor working on his or her latest piece right in one of the Tlaquepaque galleries. Tlaquepaque is also a gathering place, alive with traditional fiestas and festivals as experienced in times gone by and in Mexico today. Be sure to check out our full events calendar to get a preview of the festivities…all family-friendly. 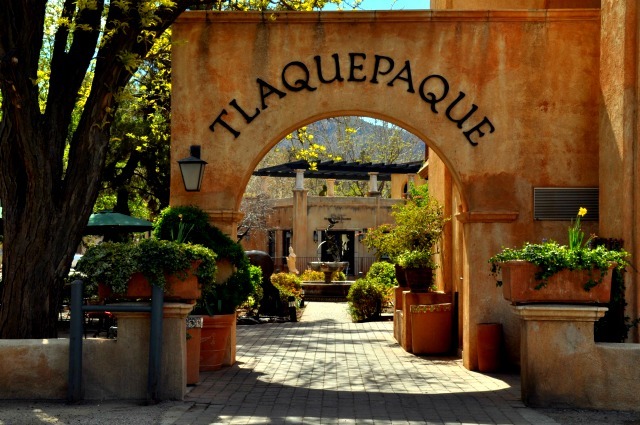 Tlaquepaque Arts & Crafts Village is located 9 minutes from the home. For more information on Tlaquepaque, please visit Tlaquepaque. The region boasts more than 100 different trails, each offering its own unique experience. Most lead into the red rocks, offering intrepid explorers plenty of postcard-worthy photo ops. When making your way to a trailhead, consider stopping at The Hike House. This facility is devoted to preparing Sedona hikers. Using their unique Trail Finder computer program, the staff members at The Hike House can help determine which trail is right for you based on your time frame and skill level. This facility also houses a shop specializing in hiking gear and a cafe chock-full of healthy treats. After stopping here, you’ll be well dressed and energized to hit the trails. The Hike House is located 9 minutes from the home. A favorite Sedona trail is the Bell Rock Pathway is a relatively easy way to get out and among the red rocks. The 3.6-mile trail rewards hikers with breath-taking views of Bell Rock and Courthouse Butte. This is a well-traveled pathway with vault toilets and paved parking. Bring your camera — as the trail climbs higher, you’ll have opportunities for great shots. Be sure to bring a hat and sunscreen too, as there’s no shade on this trail. Mountain bikes can be rented at Absolute Bikes and can ride to many trails. Absolute Bikes is located 7 minutes from the home.